Yesterday I wrote about the hard work it takes to get started and stay with a new exercise program – whether it is physical or spiritual in nature. Many times real change is incremental and the result of hard work. But not always. Sometimes real change happens in an instant. Exercise is one way to improve our physical health. Taking medicine or having surgery are other, more immediate means to the same goal. The same is also true in spiritual/relational/social aspects of our lives. As I said yesterday, people really can change. And sometimes we can pivot on a dime and go in a different direction. Miracles do happen both physical and spiritual. I think many times these go together – the long slow work and the game changer – and are deeply interrelated. The last Super Bowl turned on several game changers, none more memorable than the interception at the end. 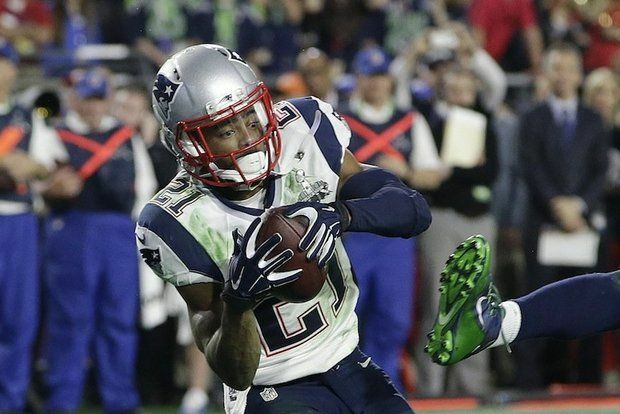 Malcolm Butler came out of nowhere to intercept what looked like a sure game winning catch. Impossible, ridiculous play. And also exactly what they prepared for in practice, where Butler admitted to blowing his coverage. He learned from the mistake made during the long slow work of practice and was thus ready for the game changer. Let’s keep doing the hard work and keep hope in a game changer. Things can turn slowly or in a flash or sometimes both. I think the comparison between the work required for physical health and spiritual health is a good one! An excellent reminder that nothing worth having comes with out effort.